Since 1860, TAG Heuer S.A., also known as Tag Heuer, has been supplying the world with high-quality watches and fashion accessories. Unlike some of its peers, Tag Heuer has also branched out into licencing, which has allowed the company’s name to appear on everything from mobile phones to sunglasses. Regardless of the product, however, the company name is one associated with high quality and integrity. Tag Heuer started out as Uhrenmanufaktur Heuer AG. The Swiss company was established in 1860 by Edouard Heuer, a skilled watchmaker who patented his first chronograph in 1882. He went on to patent an oscillating pinion in 1887 that is still used by manufacturers today for making mechanical chronographs. The wristwatch | Trip time function | Stopwatch function | Features and functions popular among aviators. Edouard Heuer led his company until his death in 1892. However, his legacy lived on through Jules-Edouard and Charles-Aguste Heuer and their highly talented management team. It was this new management team that opened the door to the American market in the early 21st century, thus making Tag Heuer a truly international brand. The TAG Heuer of today was formed when TAG acquired Heuer in 1985 to form a larger company that also manufactured parts for Formula 1 racing cars. The company name is associated to this day with auto racing and aviation, with watches such as the Tag Heuer Formula 1 and Ladies Tag Heuer Formula 1. Nevertheless, in the first 100 years of Heuer's existence, they made their mark as a world-class chronograph designer and manufacturer. 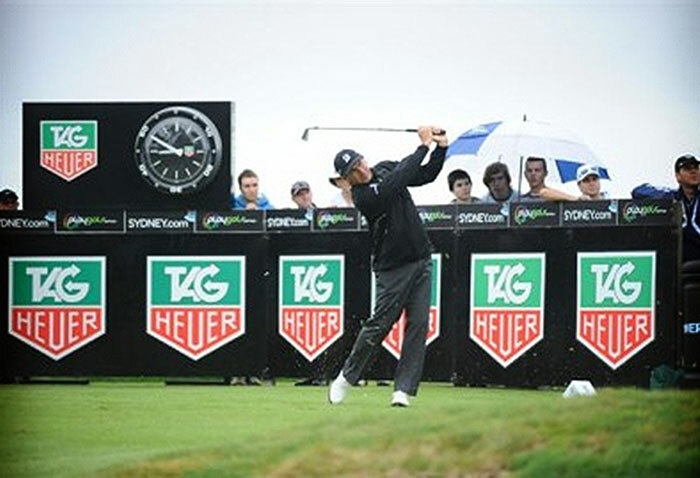 TAG Heuer's association with sport has not been lost on a worldwide audience. The company has been the official timekeeper of the Summer Olympics three times since 1920; they have also been official timekeepers for the F1 World Championships and the Skiing World Championships. Wherever luxury timepieces and accurate timekeeping converge, you will find TAG Heuer. for your choice of some of the finest timepieces in the world. Whether you are interested in TAG Heuer or another brand, we have exactly what you're looking for at a price you can afford.